Tinderbox Sherlock's Choice in a Tinderbox Lugano rusticated pot with an ill-fitting stem. Jim's VaPerTurkish in a 2015 Basil Meadows smooth straight thin shank and stem with an aluminum band Bing Crosby Merchant Service replica. A couple minutes away from smoking Amphora Original (Brown) in a 1990s slight bend black Sasieni 4 Dot Ruff Root Dark 4 Dublin. Just finishing work and this bowl of Heine's Blend in the very first pipe I ever bought ($2.49) in 1974; a smooth three quarter bend Dr. Grabow Omega. James J. Fox Provost - Savinelli. 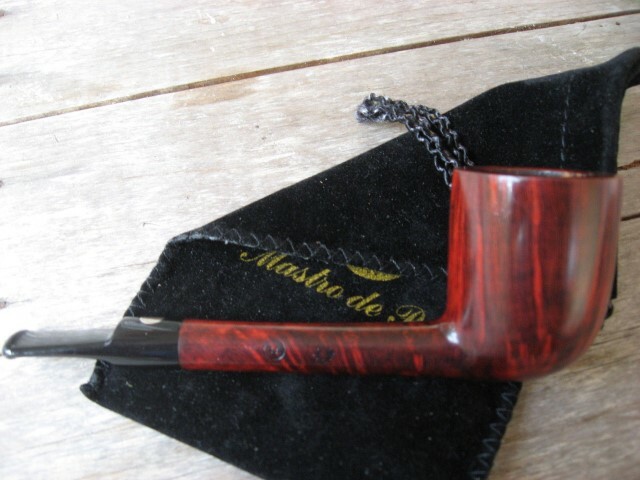 Smoker’s Pride Rich Taste in the third pipe I ever bought ($1.95), a 1974 smooth straight French briar Hadley Apple. 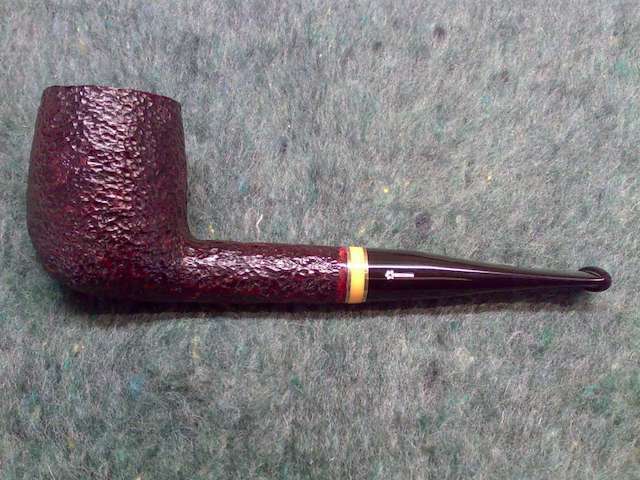 Stonehaven in a straight sandblasted black billiard 2013 PSF POY Kaywoodie with an amber colored lucite stem. Just got home for the day. Time for some Orlik Dark Strong Kentucky in a custom-rusticated Medico Jet Stream before I start preparing for the coming icepocalypse. Remember when I was complaining about the unseasonably warm weather a few weeks ago? I take it all back. Just finishing this bowl of 1970s Edgeworth Aromatic (Red) in a light brown 1979 rusticated medium bend Italian Sir Jeffrey Dublin sitter with a flared top and yellow stem. I am smoking Benjamin Hartwell Signature blend in a Gourd Calabash. It's 16:54 CST and have been on a straight Red Va kick all day. On my 5th bowl of McC's FM 2000, this one in a grp 4 sized straight grained A. Garfinkle Apple that I got in the early '70s when I worked in D.C. . Can never have enough ketchup !! 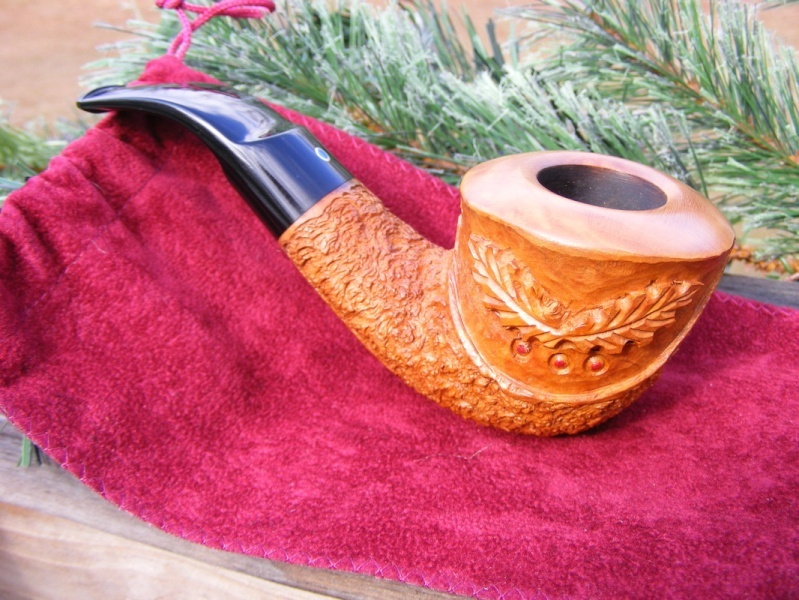 Just finished smoking McClelland 2015 Christmas Cheer in a 2002 quarter bend sandblasted Stanwell Golden Danish 139. 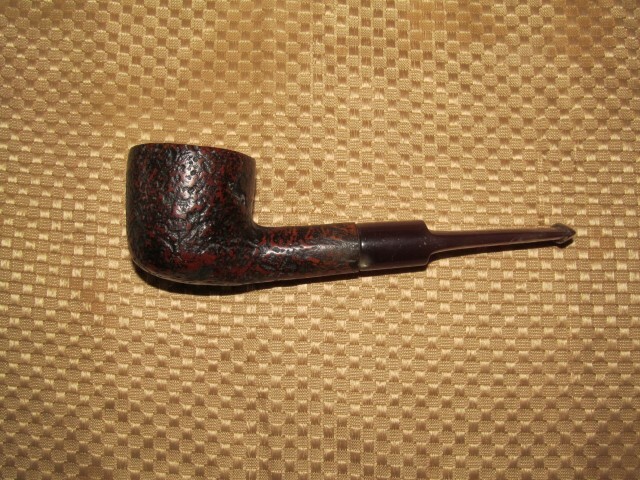 Schurch Moschita 408 in a 1990 Irish Second (Peterson) smooth straight grain Oom Paul. Macbaren HH Vintage Syrian in a Mastro De Paja lovat. London Mixture in a GBD 789 smooth pot. Some pipes you just can't give up. About a third of the way through this bowl of Watch City Slices in a straight Lane era Charatan black with burgundy undertone sandblasted billiard 420. A cup of Maxwell House, neat, is my drink. Been enjoying the snow.